In our Early Childhood Ministries, we make every effort to provide a safe and secure environment where our children are loved in two identical classes. We believe that learning begins at birth; therefore we begin teaching about the love of God in even the youngest of classrooms. We want to promote a Christ-centered atmosphere to all children in their age appropriate room. Our hope is by the time the child reaches grade school we will have laid a firm foundation for growing in the grace and knowledge of Jesus. While in our Nursery, babies get a first impression of our loving Heavenly Father. These little ones enjoy biblically based music and age appropriate toys that are sanitized after every Sunday service. One year olds are loved in an environment that encourages exploration in a stimulating classroom. Preschoolers are introduced to a more traditional classroom that fosters Biblical knowledge by using crafts, activities and games that support the day’s Bible lesson. We utilize and teach through the Gospel Project curriculum across campus which enables our youngest two year old to learn the same lesson as our oldest person who attends church any given Sunday. What this creates is wonderful family worship conversation in which all persons in the family can interact. If attending for the first time a staff member at the welcome center (located inside of the Early Childhood building) will assist you in registering your child in the appropriate class. You will be asked to complete a paper registration and your child’s name will be added to the class roster. Vibrate notification pagers are available at the welcome table upon request. Your child may be picked up directly from his/her assigned classroom. Teachers will release children exclusively to the parent or guardian with the “guardian receipt” that matches the child’s identification name tag. Children cannot be released to siblings or persons under the age of 18. Good question! If you do not have the “guardian receipt”, the Early Childhood Coordinator or staff member will be summoned and positive identification will be made prior to the child being released. For our security and wellness policies, head over to our Safety and Policies page. Every Sunday at 9:30 and 11:00 a.m. in Children’s Theater, kids in kindergarten – 5th grade explore a part of God’s story from pre-creation to eternity and how the Gospel of Jesus fits into every aspect. The three-year chronological timeline ensures that no matter when you jump in, you won’t miss a thing. Small and large group Bible study, along with high-energy, kid friendly worship songs and videos, allow children to learn about God’s truth in a fun and relevant way. For more information email Brian Stiles or call the children’s ministry at (954) 389-4555. Are you looking for a place to serve? Why not join the Praise Factory Team! We have openings in several areas of our Children’s Ministry. We can help you find the right place to serve. Call church office (954) 389-4555 for more information. 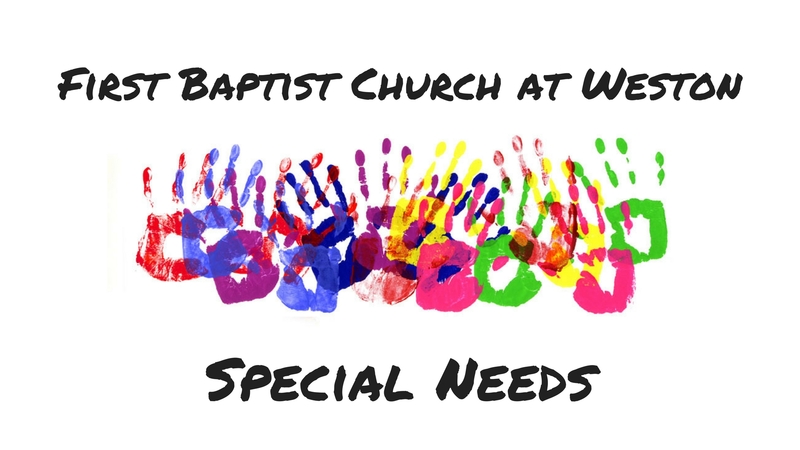 The 11 AM Special Needs Sunday School Class serves preschool and elementary aged children with unique needs to help them grow in the grace and knowledge of Jesus. Special Needs students are offered a structured morning schedule that includes music with instruments, a Bible lesson, a video lesson, snack time, and station time. Our Bible lesson and video come from the Gospel Project curriculum which teaches our youngest students the same lesson at their own level as our oldest person who attends church any given Sunday. This creates a wonderful family worship conversation in which all persons in the family can interact. The Special Needs classroom offers a smaller and quieter environment, a picture schedule, sensory toys, and a higher teacher to student ratio. In order to work alongside you and be prepared for your child, please fill out the Special Needs Questionnaire. AWANA is a mid-week kid’s program that meets most Wednesday nights through the school year from 6:30 – 8:00 p.m. It is an international organization that promotes reaching kids for Christ and blends Bible teaching, Scripture memorization, and organized games. Bible Time presents a clear, consistent presentation of the Gospel and stories that teach the characteristics of God in an easy to learn environment. Handbook Time is where each child works through their handbook and Bible to learn how to hide God’s Word in their heart. Game Time is where teams compete in various fun and exciting games. Special Event Nights planned to emphasize missions and serving. Take a look at our AWANA calendar for upcoming events. Nursery provided only for volunteer children.